Forty students from HE-Arc Neuchâtel had to deal with the requirements of the Tornos company during a real technological challenge. 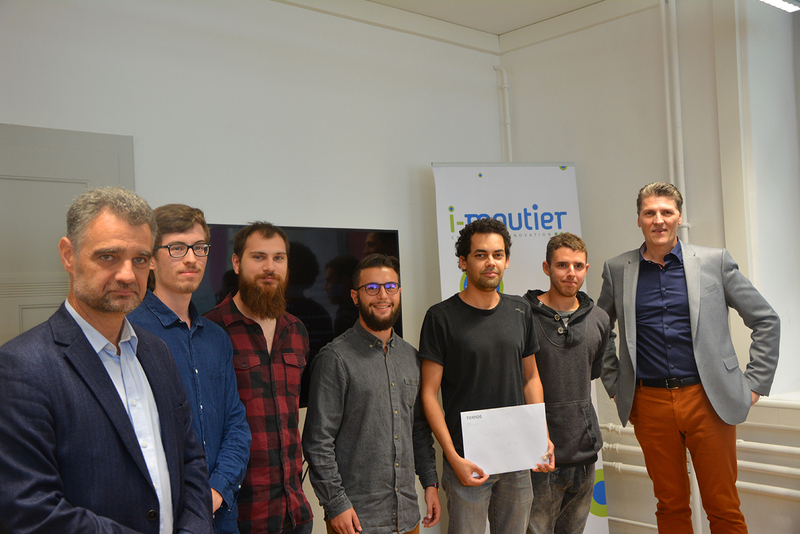 After spending two days in the independent incubator i-moutier on August 22 and 23, they returned yesterday to present their innovative solutions. Three of the six groups competing were awarded by Michael Hauser, CEO of Tornos. Seduced by the hard work and the attendance of the students of the HE-Arc in "Industrial Design Engineering", the Tornos jury has above all been keen to focus on creativity. While methodological issues played a role in weighting, the focus was on other qualities close to corporate values: team spirit was one of them. The first prize went to the group who presented an original solution for chip management. Their project, articulated in three parts ranging from chipbreaker to worm compactor immediately pleased the jury, who found ingenuity in their system and hailed the accuracy of the presentation. The subject of chip management seems to have suited the participants, since the second group that dealed with it got the third prize, while the second prize went to the group in charge of finding an adequate solution for the universal manipulator. This project is exactly in line with the vision developed by Tornos, which created last year, in the former Usine Junker, a skills center dedicated to precision. Among other things, it encompass an independent incubator named i-moutier. This innovative governing structure has in particular set itself the mission of attracting talent by creating a unique concept and an environment fostering the development of new designs and concepts to help ensure the future of our region. In this way, the incubator i-moutier generates a certain emulation while remaining true to its essential philosophy, at the heart of the micro-technology market. It continues to give young people the opportunity to work on concrete projects for industries in the region.